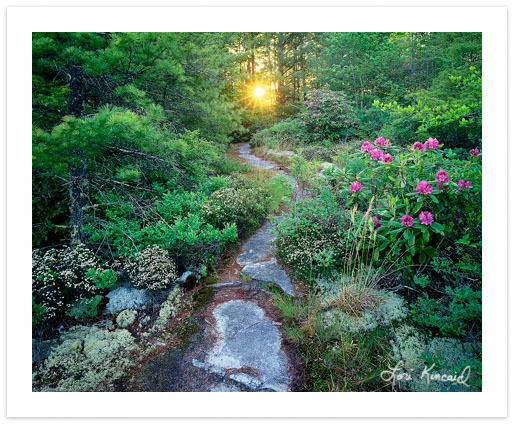 Lori Kincaid specializes in outdoor photography of the Southern Appalachians, including large format, 35mm, and digital stock photos and fine prints of scenic mountain landscapes and flora. Please browse or search the gallery pages to view a sample of her work. Lori's photography has been exhibited in regional and national venues, including the Smithsonian National Museum of Natural History, and featured in numerous regional, national, and international publications. Her credits include some of the country’s best known and respected publishers of nature photography, including the National Geographic Society, Audubon Society, and Sierra Club, among others. For more information or particular photo needs, please contact Lori Kincaid Photography. © 2001-2009 Lori Kincaid. All Rights Reserved.